Tokelau is a group of three atolls in the South Pacific Ocean, about half way from Hawaii to New Zealand, and to the north of Samoa. Originally settled by Polynesian emigrants from surrounding island groups, the Tokelau Islands were made a British protectorate in 1889. In 1926, they administratively became part of the Gilbert and Ellice Islands, but were transferred to Western Samoa in 1926. Tokelau was transferred from British to to New Zealand administration in 1925. Tokelau is a territory of New Zealand that consists of three tropical coral atolls in the South Pacific Ocean. The United Nations General Assembly designated Tokelau a Non-Self-Governing Territory. Until 1976 the official name was Tokelau Islands. Tokelau is sometimes referred to by Westerners by the older, colonial name of The Union Islands. The total population is under 1,500 inhabitants. 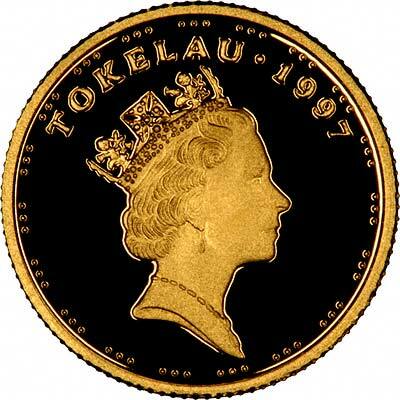 Tokelau issued its first coins in 1978, using New Zealand currency for ordinary circulation. 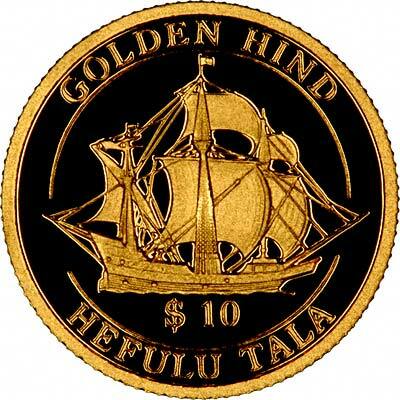 As we created this page, there were no Tokelau gold coins listed in Krause. For silver and base metal coins of Tokelau, please look at our original Chard Coins website.